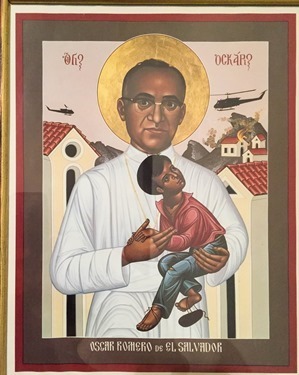 This week we learned the date of the beatification of Archbishop Oscar Romero. Cardinal Amato, the head of the Congregation for the Causes of Saints, will be there to officially beatify him on May 23 in San Salvador itself. 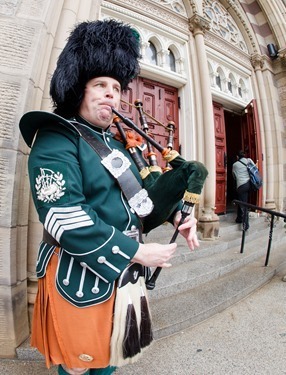 Unfortunately, this is the same day that we have scheduled our ordinations in Boston. 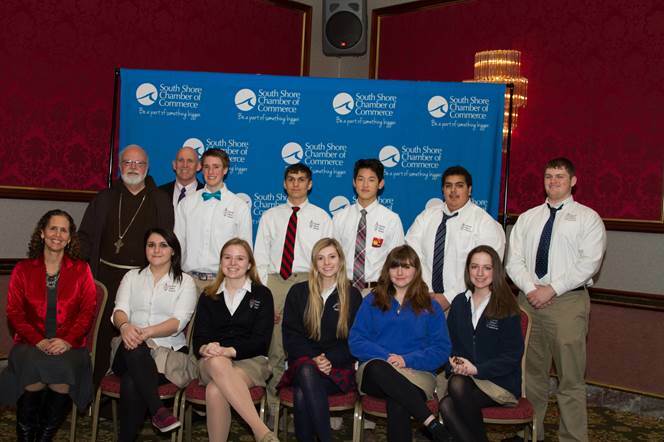 Otherwise, I would have seriously considered attending, because I knew Msgr. Romero quite well and of course, I am delighted that he is being beatified. I remember his funeral was on Palm Sunday. 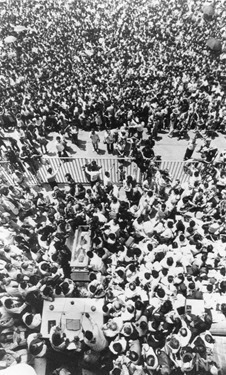 It was very memorable because thousands and thousands of people were gathered outside the Metropolitan Cathedral of San Salvador and, during the funeral Mass, the army opened fire on the crowd. The thousands of people just fled. I still recall that the square was completely vacant except for the palm branches covering the ground and the shoes and sandals that had fallen off the people as they trampled each other to escape. So, even in his death they were still persecuting him, and his beatification is certainly a vindication. 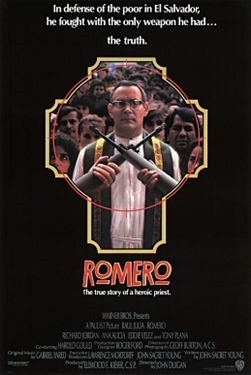 I think when many people think of Archbishop Romero, they think of the 1989 film about his life called “Romero.” I remember when it came out, I found it fairly accurate but the most astounding thing about the film was the excellent portrayal of the archbishop by Puerto Rican actor Raul Julia. 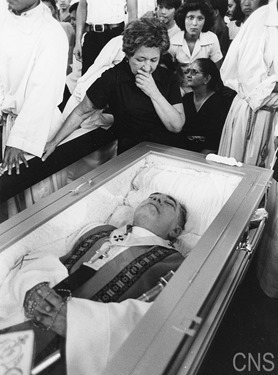 Later, I saw an interview with Raul Julia, in which he said that he had been something of a fallen-away Catholic but, to prepare himself for the part, he read all of the Archbishop Romero’s sermons and it brought him back to the practice of the faith. 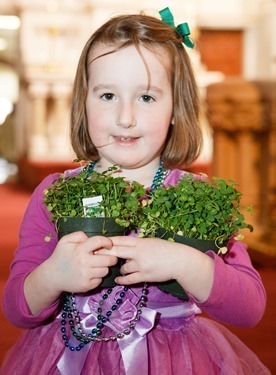 He said he came back to church and started receiving the sacraments – and shortly after that, he died. It has always struck me how that role brought him back into the fold of the faith and prepared him for his journey into eternity. 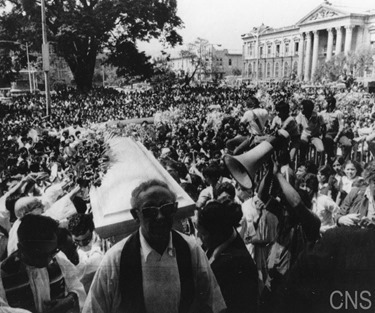 It was just another fruit of Archbishop Romero’s ministry. 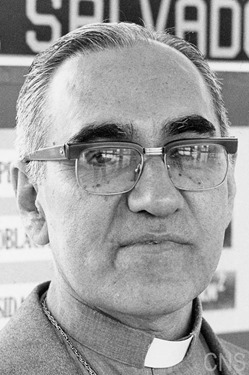 I was privileged to be with Monsignor Romero on a number of occasions. I worked for 20 years of the Salvadoran community in Washington so I know what a great grace this is going to be for the Salvadoran people. 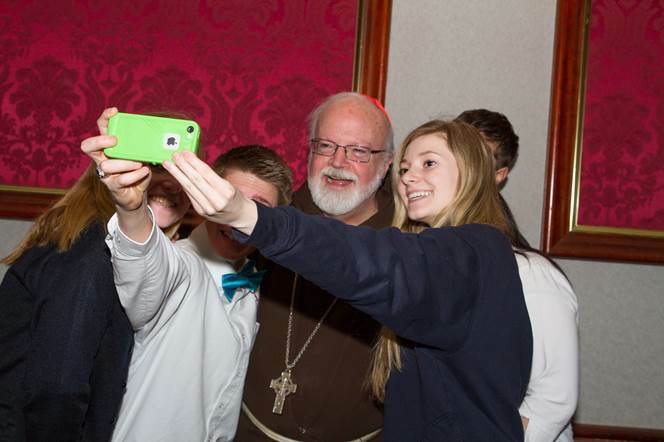 We look forward to celebrating his beatification here in Boston. On Monday I was in Palm Beach for a family funeral. 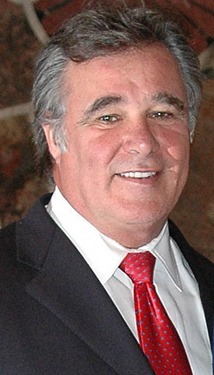 The husband of my cousin Kathleen, Gary Rotella, died unexpectedly. We have always been very close and I was happy to have the opportunity to be there for the funeral. It was standing room only in the church of St. John the Baptist in Fort Lauderdale. Gary was originally from Vermont, and his family was there in great numbers. He was very involved in the Boys and Girls Club and many other charities, so there were many people from those organizations as well. 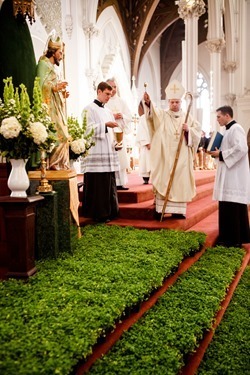 The pastor there, Monsignor Kelly, concelebrated the funeral Mass with us. 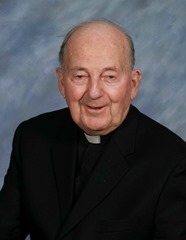 He is an extraordinary priest and I am so very grateful for his many kindnesses to my family over the years. There was a prayer at Gary’s funeral that I had never heard before, but I liked very much. It is called the “Game Guy’s Prayer” and was written by Cardinal Cushing. Help me to be a sport in this little game of life. I don’t ask for any easy place in the line-up; play me anywhere You need me. I only ask for the stuff to give You one hundred-percent of what I’ve got. If all the hard drives seem to come my way, I thank You for the compliment. Help me to remember that You won’t ever let anything come my way that You and I together can’t handle. And help me to take the bad break as part of the game. Help me to understand that the game is full of knots and knocks and trouble and make me thankful for them. Help me to be brave so that the harder they come the better I like it. And, O God, help me to always play on the square. No matter what the other players do, help me to come clean. Help me to study the Book so that I’ll know the rules and to study and think a lot about “the Greatest Player” that ever lived, and other players that are portrayed in the Book. If they found out that the best part of the game was helping other guys who were out of luck, help me to find it out too. Help me to be regular and also an inspiration with the other players. Finally, O God, if fate seems to uppercut me with both hands and I’m laid on the shelf in sickness or old age or something, help me to take that as part of the game, too. Help me not to whimper or squeal that the game was a frame-up, or that I had a raw deal. When, in the falling dusk I get the final bell, I ask no lying complimentary tombstones. I’d only like to know that You feel that I’ve been a good game guy, a saint in the game of life. AMEN. 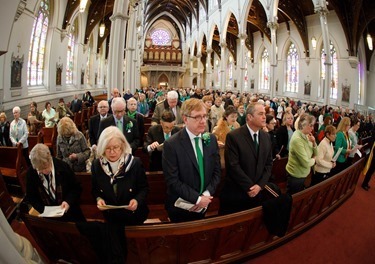 Also I am very grateful to Bishop Robert Hennessey and Monsignor Liam Bergin for doing such a fine job with the St. Patrick’s Day Mass of the Cathedral. 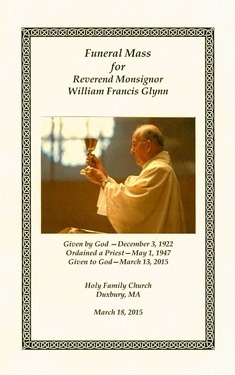 Wednesday, I celebrated the funeral of one of the oldest priests in the archdiocese, Monsignor William Glynn. 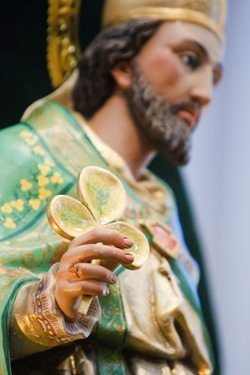 He had been blessed with great health, and was very active until quite recently. 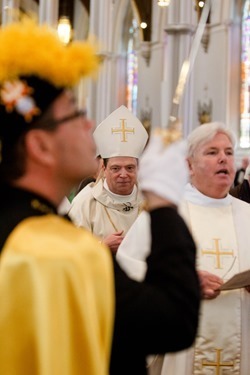 He was just a beloved figure in the archdiocese as a priest and a pastor. 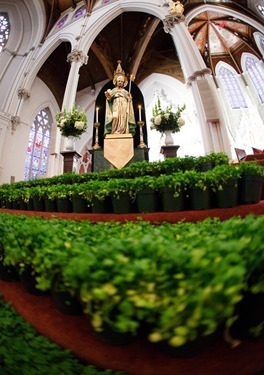 Monsignor Glynn was one of the first priests I met in the archdiocese, because when I was bishop in the West Indies I would come to Boston to do confirmations and his church, Holy Family in Duxbury, was one of the first places I went. Actually, I think I may have celebrated the first confirmation that was held at that church, because it had just been built. 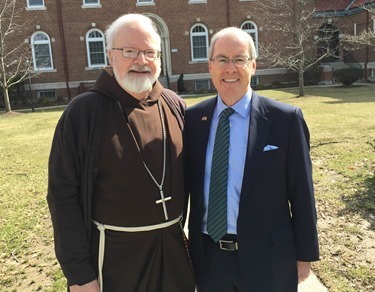 Monsignor Glynn had served as the director of the Society for the Propagation of the Faith for 10 years and had been very supportive of the missions, and was very supportive of me as a missionary bishop. 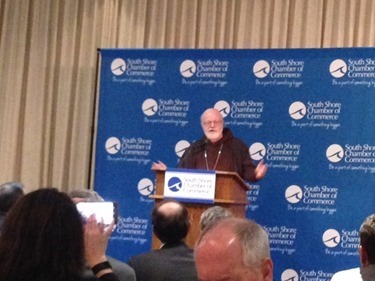 Then, in the afternoon, I went to give a luncheon address to the South Shore Chamber of Commerce at The Lantana in Randolph. This was the second time that I have addressed them. They have over 1000 members and the luncheon was very well attended. 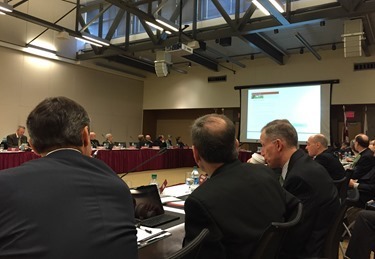 I began my address by citing the wonderful op-ed on Catholic schools by William McGurn that appeared in the Wall Street Journal on March 16. I then went on to speak about some contemporary issues in the archdiocese, in the universal Church, and the work of the reform of the Curia. Afterwards there was a period of questions and answers. It was a very nice event and I was glad to have been able to do it. 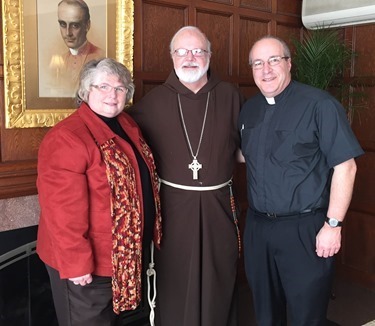 In the afternoon, I met with Father Richard Clancy and Rose Patek. Rose one of the leaders of the Betania II Center in Medway and she is a very dedicated Catholic laywoman who is devoted to promoting evangelization in many different aspects, but she was here particularly because of her outstanding support of FOCUS and campus ministry in the archdiocese. Finally, this week we were so pleased to learn that the Holy Father has proclaimed a Holy Year of Mercy, which will run from December 8 of this year until November 20, 2016. He has asked Archbishop Fisichella to be in charge of organizing activities for this year. 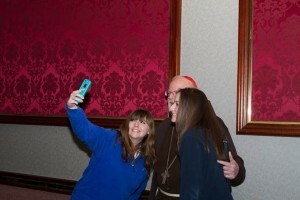 Certainly, mercy has been one of the major themes of the Holy Father’s pontificate. 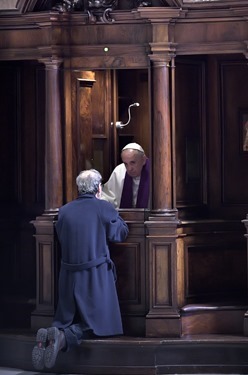 It clearly captures so much of the spirit of his preaching, in which he has spoken of the outreach to the periphery, seeing the Church as the field hospital and urging people to live that tenderness and mercy that God the father has for us. Surely this needs to be the hallmark of being a missionary disciple – to make God’s mercy more visible and present in the world.